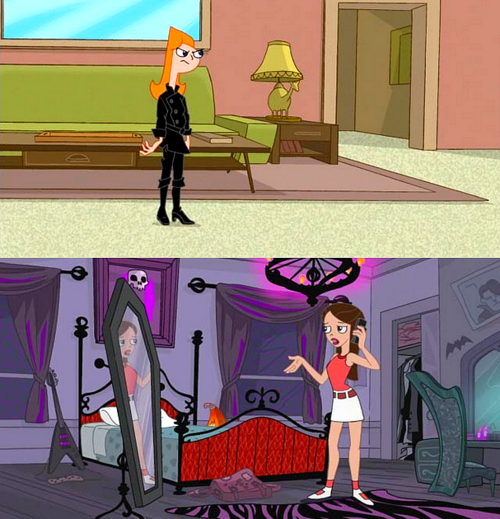 Candace and Vanessa Clothes Change. . Wallpaper and background images in the 飞哥与小佛 club tagged: phineas ferb candace vanessa disney channel. This 飞哥与小佛 photo might contain 标志, 海报, 文字, 黑板, and 文本. I like Vanessa's scenario, since she spent the entire episode busting her dad, and not get harassed by passer-byers, unlike Candace.